I almost screamed with joy after opening up my email to find an invitation to join the press event for the opening of the New Fantasyland. 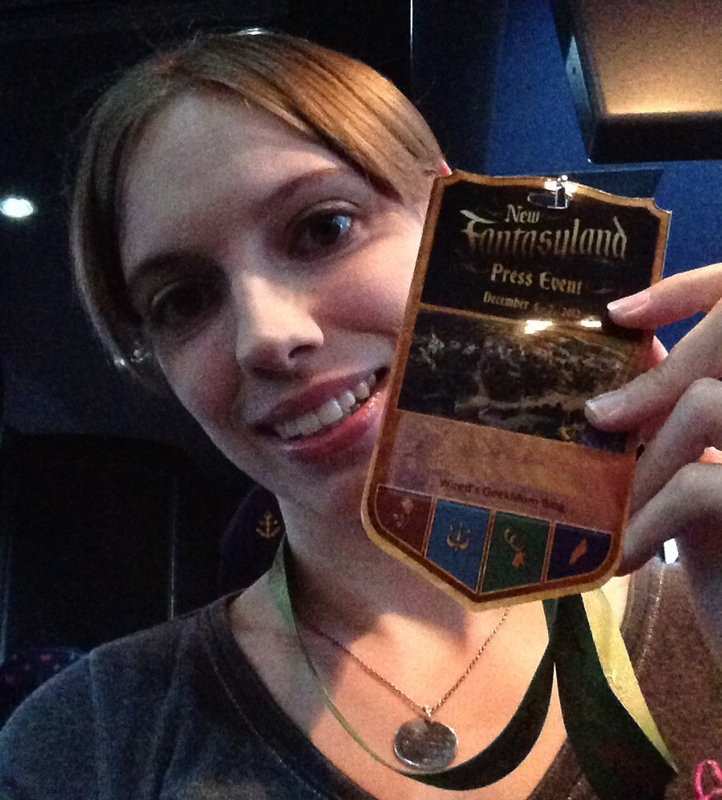 I couldn’t believe I was granted such a coveted badge to the biggest expansion in the history of the Magic Kingdom. This was my first major press event, so naturally I was nervous as well as excited to cover it. So I began my preparations. Some of my friends couldn’t understand why I decided to book a hotel close to the parks, considering I live only forty five minutes away. See, I knew that Disney was going to make this a party–one that might start before dawn and end long after the sun went down. 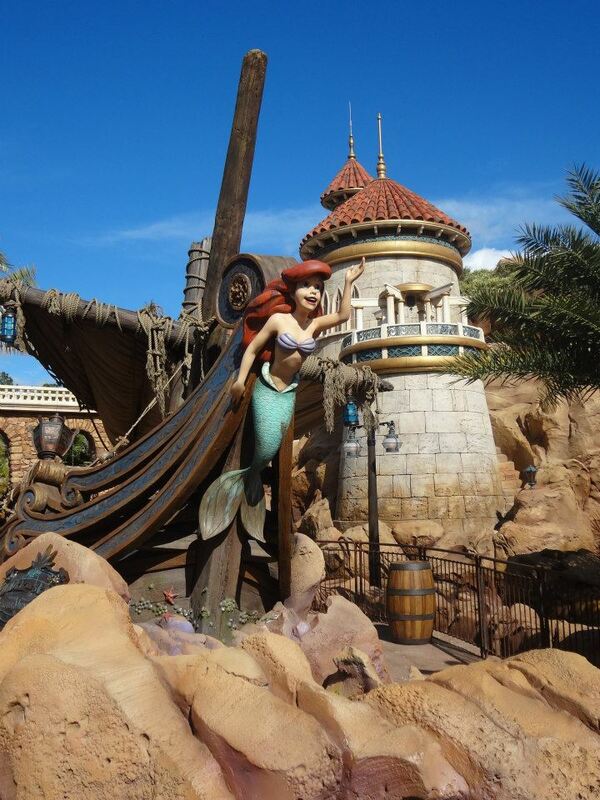 The hotel was a must, and so, with my family in tow, we set out for three days of Disney fun. The highlight of my night came when I saw the most amazing dragon fly over and around Beast’s castle. The cloud coverage was just right to hide how Disney was performing this amazing feet of magic. My son was really excited to see the dragon as he breathed fire a few times, as if to tell us all, “I’m here, look at me!” Then the creature disappeared into the night. I heard someone say that the dragon made the special appearance in honor of the opening of New Fantasyland, so it’s a shame that regular guests won’t get to see it for themselves. Afterwards, they hit up the Great Goofini (formerly known as Goofy’s Barnstormer) and had front row seats and the entire train to themselves. After we were done with the rides, we made our way into the rest of New Fantasyland, and we were given a real backstage view of how something of this magnitude goes on. There were racks of costumes, boxes of equipment, film crews and Disney characters done up in their finest, either filming or getting ready to film a segment on the expansion. 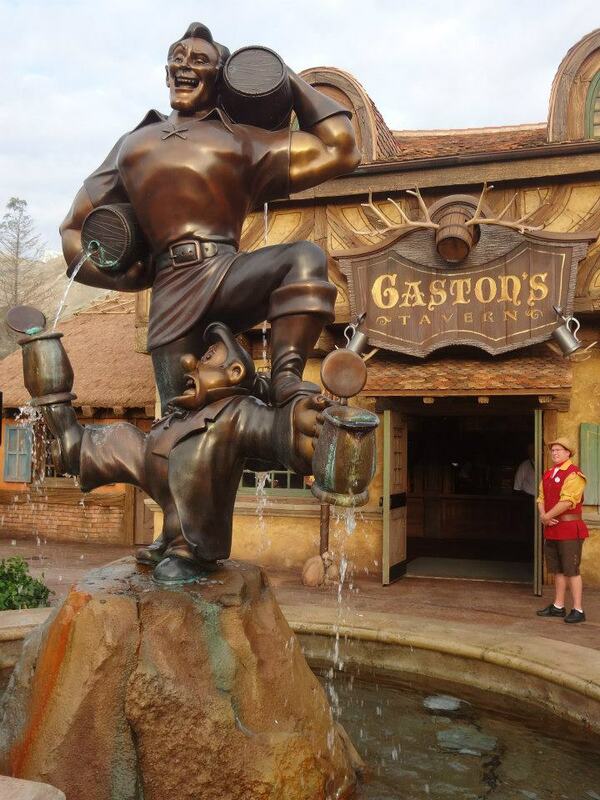 We walked around the areas not being used for the filming and got some great pictures of Gaston’s Tavern. Be Our Guest was being used for the radio shows and interviews so we made sure to avoid that area. We had a few hours to kill before the grand opening at the castle, so we walked around, got some lunch, and just relaxed. It had been a while since I had visited the Magic Kingdom and I was really happy to see they were making some improvements in certain areas of the park. One of the “construction” areas I enjoyed seeing the most was Rapunzel’s tower where the old Skyway ride used to be. All this time, my head buzzed with excitement. I tried to take in every detail and made notes about everything, as I was afraid I would forget. When it came time for the grand opening, we made our way to the castle only to be disappointed at the lack of viewing areas. 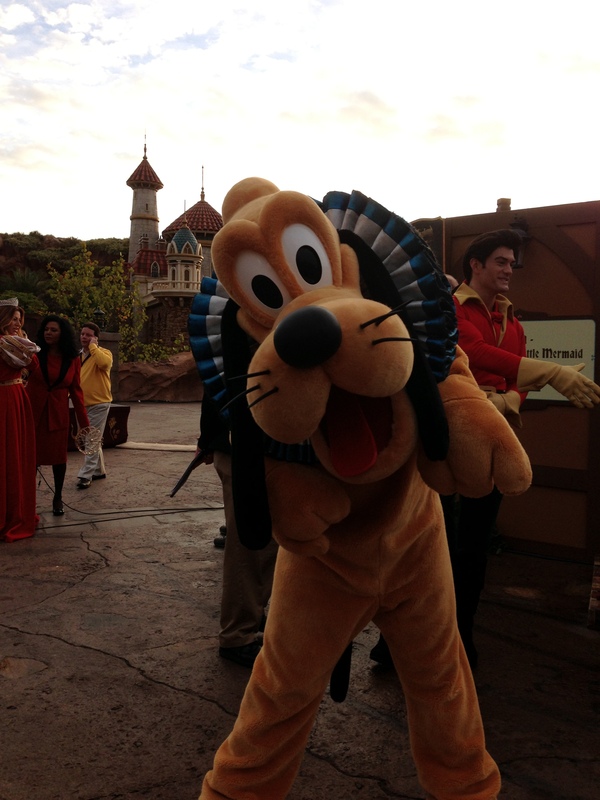 I asked a cast member were the press were supposed to stand, to which she replied “with everyone else”. I was bummed and a little surprised, so I made my way into the crowd, hoping I could at least catch a small glimpse of what was going to happen. While looking for a place to stand, another cast member saw me and noticed my badge–he was very quick to point out that I was a member of the “privileged class” today and told me exactly where I needed to be… at the very front of the crowd. Score! However, with five minutes to show time, my son declared the inevitable: “I need to go to the bathroom.” Thankfully, my husband was with me and ran him (faster than he has ever ran before) to the bathroom and back with only seconds to spare. The ceremony was amazing, complete with familiar Disney characters, and Jordin Sparks and Ginnifer Goodwin (Snow White on Once Upon a Time ) as well as a formal speech by the Chairman of the Walt Disney Parks and Resorts, Mr. Thomas Staggs. The total ceremony lasted about ten minutes, but it was the best ten minutes of my day. When the festivities were ready to begin, we jumped in with two feet and found ourselves knee deep in shrimp, steak medallions, and a ton of other delicious food. I let my son pick us out a spot to sit and eat and boy did he… right in front of the all you could eat ice cream bar. Thankfully, the servings were about the size of a small stack of quarters, so I didn’t feel too bad about letting him have a few with his dinner. Looking back, I’m still in awe at being able to be a part of it all. Even though the entire experience was a lots of fun, I also wanted to make sure that I took the notes and pictures I needed to give you, the readers, the best coverage possible. There wasn’t a moment during the three-day experience when I wasn’t thinking of you and what you wanted to hear about when I got back. For all intents and purposes, I wasn’t there to have a magical vacation, I was there to work; but I have to say, it was the best three days of work I’ve ever had.